You will also need the 4.3.3 firmware. Click to select your device. A check-mark will appear over the image of the device. Click the blue arrow button to continue. 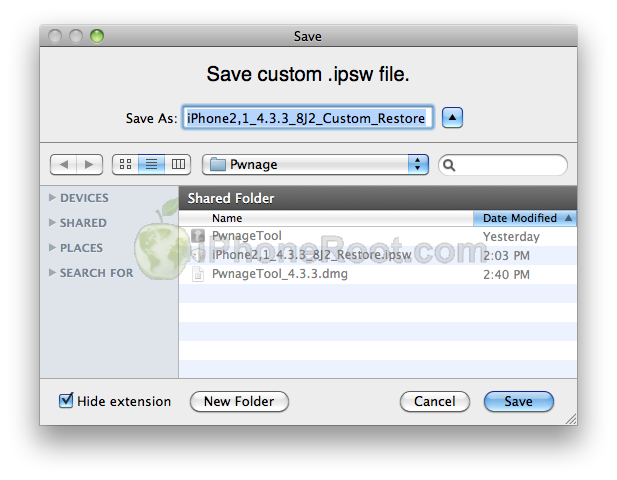 From the popup window select your iOS 4.3.3 firmware from the Pwnage folder then click the Open button. The General settings allows you to decide the partition size. Check Activate the phone if you are not with an official carrier then click the blue arrow button. 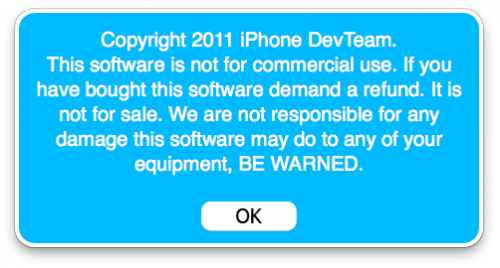 NOTE*: Deselect Activate if you have an iPhone legitimately activated on an official carrier. The Cydia settings menu allows you to create custom packages so you do not have to manually install the necessary them later. If you do not want to install anything here go to next step. 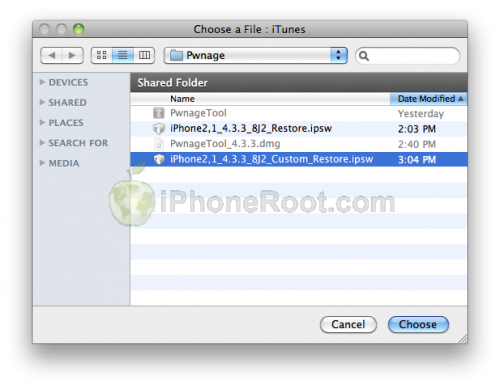 The Custom Packages Settings menu displays listed package settings for your custom IPSW. Click the blue arrow button to continue. Click the blue arrow button to continue. You are now ready to begin the pwnage process! Click the Build button to select it then click the Blue arrow button to begin. Once your ipsw has been built you will be asked to connect your iPhone to the computer. 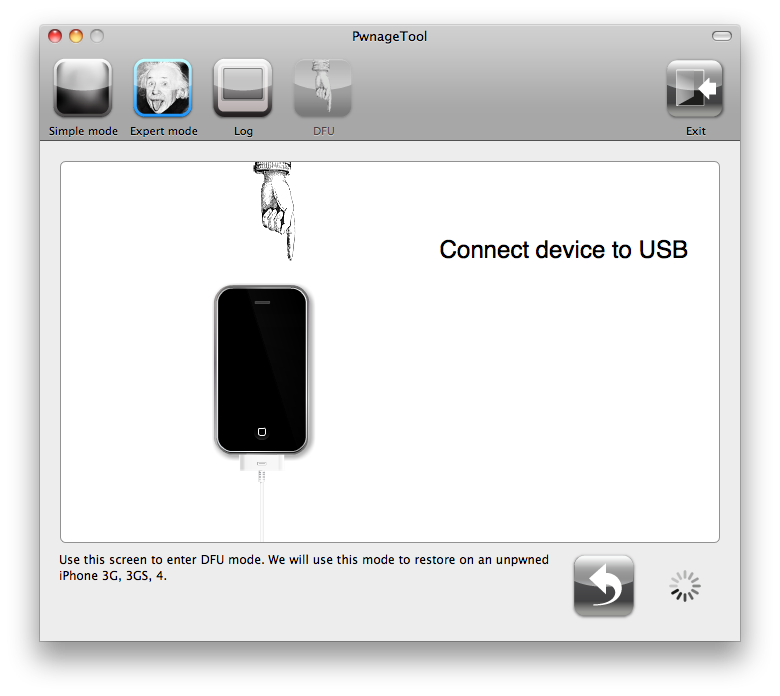 Once it detects your device PwnageTool will guide your through the steps to putting your iPhone into DFU mode. Press and hold the power and home buttons for 10 seconds. Then release the power button and continue holding the home button for 10 seconds. Once your iPhone is successfully in DFU mode, PwnageTool will prompt you to launch iTunes. iTunes will now restore the firmware on your iPhone. This can also take up to 10 minutes. Once done you will be rebooted into jailbroken iOS 4.3.3! When your iPhone has restarted you can run Cydia. Let it do all the necessary updates. If you need carrier unlock – install ultrasn0w via Cydia (if you do not need carrier unlock skip this step). 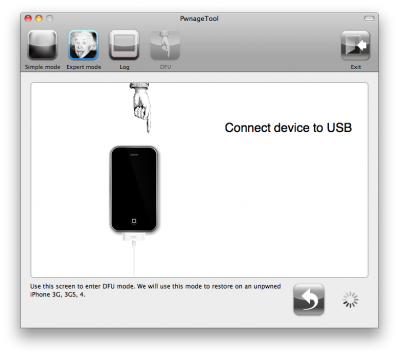 Ultrasn0w supports iPhone 4 baseband 01.59.00 and iPhone 3G/3GS basebands 04.26.08, 05.11.07, 05.12.01, 05.13.04, 06.15.00. Version of iTunce ? 8.0.2.20 ? А можно ли обновиться на PwnageTool-custom прошивку 4.3.5 с unlock GSM, если мне не нужен jailbreak? что имеется в виду под unlock GSM? анлок нужен? софтварный или турбосим/грэви? 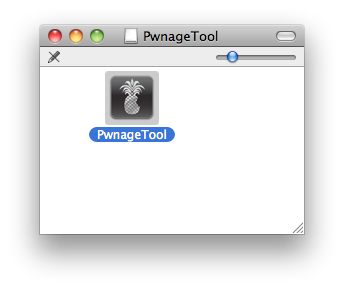 PwnageTool для 4.3.5 нету. Есть бандл сторонний к нему. Заработает ли ultrasn0w с 4.3.5 тоже не понятно.